Looking for a Used MKS in your area? CarGurus has 1,342 nationwide MKS listings starting at $3,995. For 2012, the 5-passenger, 4-door Lincoln MKS has virtually no changes, adding only a blind-spot detection system to its safety features. With an impressive list of standard features, it’s easy to see why Lincoln has made minimal changes to its upscale luxury sedan. The three trim levels available for the 2012 Lincoln MKS include the Base, Base AWD and EcoBoost AWD. The regular Base model is front-wheel drive (FWD), while the AWD trims are all-wheel drive and run on premium gasoline. The Base trims come standard with a 3.7-liter, 274-hp 24-valve DOHC Duratec V6 engine and a 6-speed SelectShift automatic transmission (with paddle activation) that achieves 270 lb-ft of torque. The EcoBoost AWD trim has a 3.5-liter 355-hp EcoBoost Twin-Turbocharged Direct-Injection V6 engine, also with a 6-speed SelectShift automatic transmission, that reaches 350 lb-ft or torque. The Base and EcoBoost trims are estimated to get 17 mpg city/25 highway, while the Base AWD is estimated at 16/23. Numerous features come standard on all 2012 Lincoln MKS trims. Dual-zone electronic climate control, adaptive cruise control (with collision warning and brake support), active park assist, electric power-assisted steering, leather-wrapped steering wheel with cruise and audio controls, leather-wrapped shifter knob (with chrome surround), auto-dimming rear-view mirror, keyless entry, push-button start (and remote start), Bridge of Weir leather-trimmed seating surfaces, 12-way power-adjustable perforated heated and cooled front seats, perforated heated rear seats, 700-watt THX II certified 5.1 audio system (with AM/FM radio, in-dash CD player with MP3 capability and 16 speakers), audio input jack, Sirius XM satellite radio (with 6-month trial subscription), adaptive HID headlamps with auto high beams, fog lamps, LED taillights, rear window power sunshade and 18-inch 10-spoke bright machined and painted cast-aluminum wheels are all standard equipment. Packages that are available for the 2012 Lincoln MKX include the Premium Wood Door-Trim Package (which adds interior wood accents in genuine olive ash or fine-line ebony, as well as wood appliqués on all four doors), the Navigation Package (including voice-activated navigation and SYNC system with integrated Sirius XM Travel Link and Sirius XM Traffic, BLIS with cross-traffic alert, THX II certified 5.1 surround audio system, HD radio, electrochromic auto-dimming driver's mirror and rear-view camera), and the Ultimate Package (which includes all elements of the Navigation Package as well as a dual-panel moonroof with power sunshade, ultimate seat trim and 19-inch 10-spoke premium painted cast-aluminum wheels, which are standard equipment on the EcoBoost trim). Upgrades that can be added individually to all trim levels include the dual-panel moonroof, 19-inch 10-spoke premium painted cast-aluminum wheels, 19-inch 10-spoke bright machined and painted cast-aluminum wheels, 20-inch polished wheels, and 20-inch 11-spoke polished cast aluminum wheels. For safety features, the 2012 Lincoln MKS comes equipped with dual-stage driver and passenger front seat airbags, side-curtain airbags, crash severity sensor, driver’s seat position sensor, front passenger sensing system, integrated rear seat head restraints, integrated blind spot mirror, tire pressure monitoring system, 4-wheel disc brakes (with ventilated front rotors and antilock braking system), traction control (brake and engine actuated), and AdvanceTrac electronic stability control system. 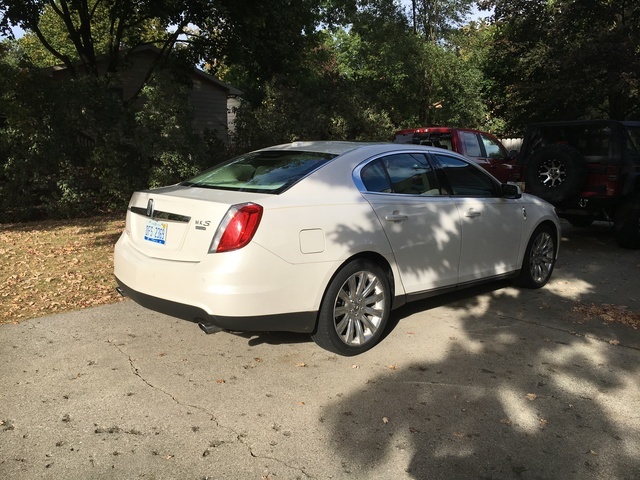 Handling-wise, the 2012 Lincoln MKS gets mediocre reviews from owners, who note that the sedan feels dull when taking curves in the Base trims. Adding the EcoBoost package, with its higher horsepower and torque, more than makes up for the other trims when it comes to handling. Owners, however, did note that all of the engines seem particularly loud, especially at higher speeds, and that the MKS's suspension seems awfully stiff for a luxury sedan. 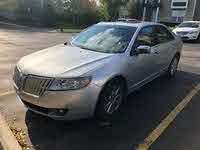 For the price, when you take into account its impressive list of standard equipment, the 2012 Lincoln MKS does well when compared to competitors such as the Cadillac STS, Lexus GS and Infiniti M37. A major overhaul of the model is expected for the 2013 model year, so it remains to be seen what future improvements lie ahead for Lincoln’s luxury sedan. What's your take on the 2012 Lincoln MKS? Have you driven a 2012 Lincoln MKS?